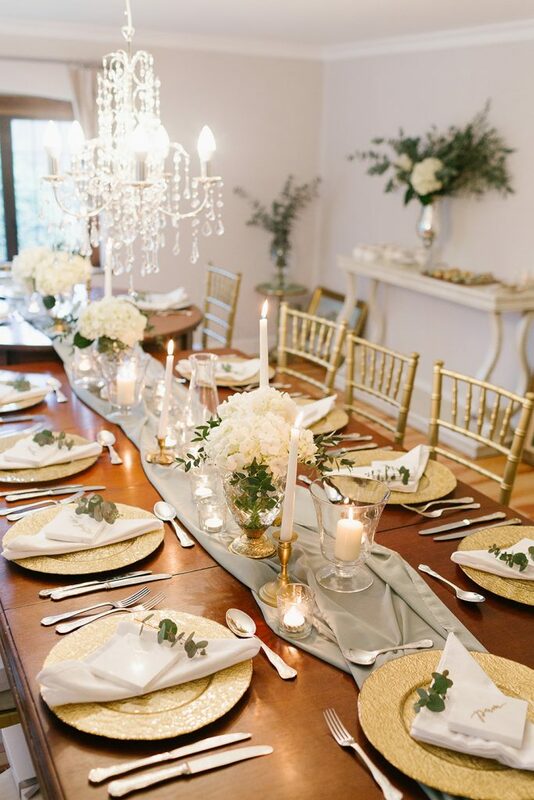 Allow me to introduce you to this elegant styling inspiration brought to you by chic bespoke styling and event planning company; Lily and Lavender Events. 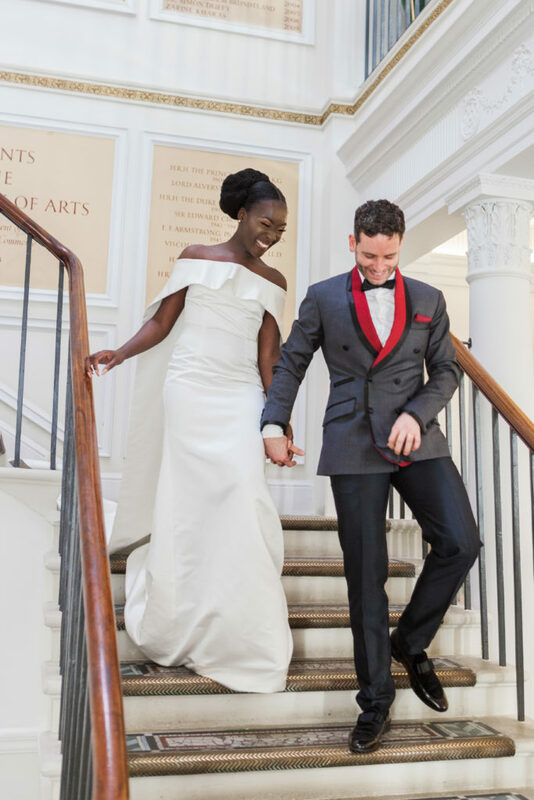 When looking for wedding inspiration for the day itself or pre-wedding gatherings, I always recommend you look for inspiration outside of the wedding industry. Search for the simple things that inspire you as individuals; music, culture, food, film, art, travel, fashion, colours, seasons, draw from everything around you. 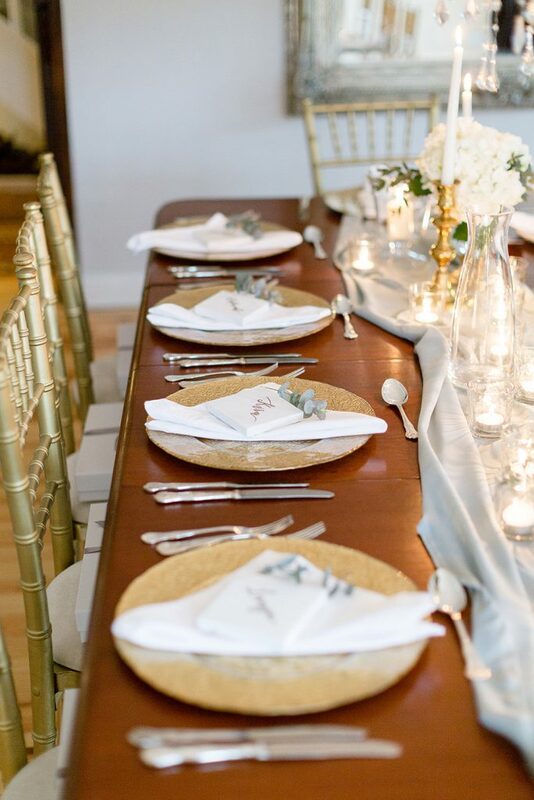 This styling for this intimate event inspired by ‘new beginnings’ is a great example of this and serves as great wedding inspiration and offers great advice on how to consider very detail to correspond with your theme. 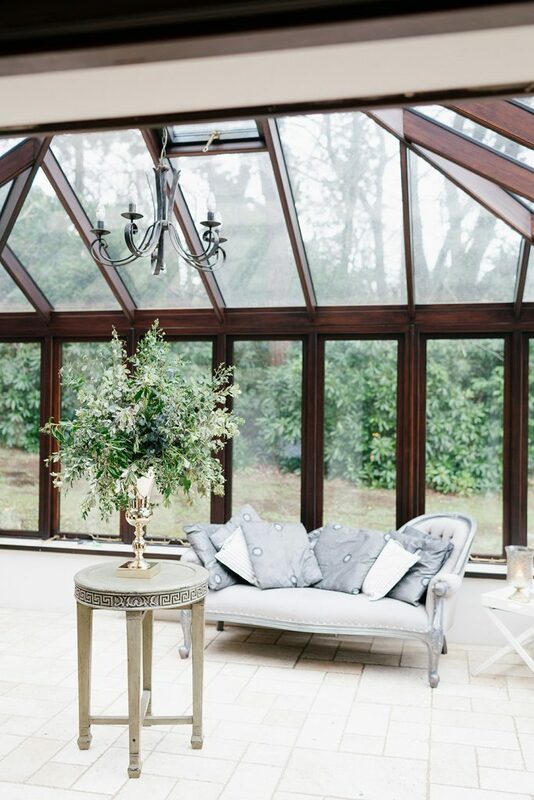 Over to the exceptionally talented lady behind Lily and Lavender Events; former lawyer and storyteller through creativity; Carol, to inspire you. 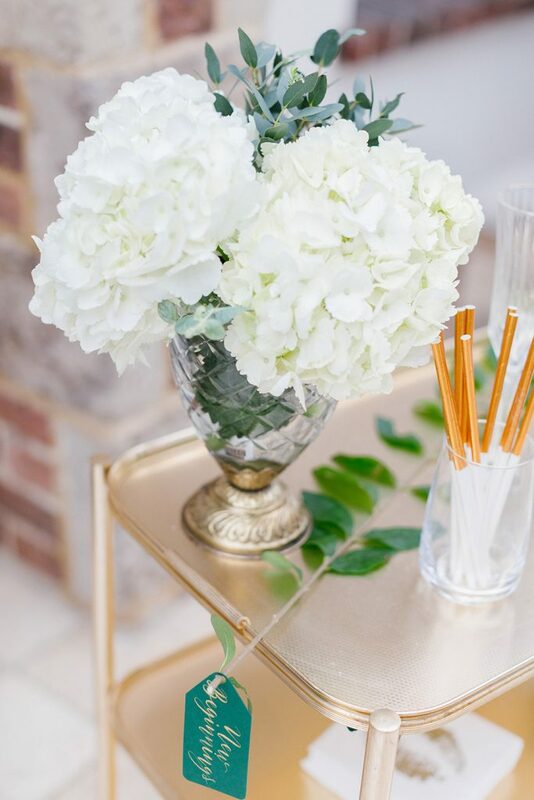 The brief for this event was to plan and design an intimate and uplifting celebration for ladies to celebrate the new year while embracing the beauty of beginnings and to create an environment for them to share their intentions for the year ahead. Wonderful fine art photographer Ilaria Petrucci documented the day and I knew she would be able to delicately capture the essence of the event, the intimate atmosphere, details and the inner beauty of the ladies who attended. 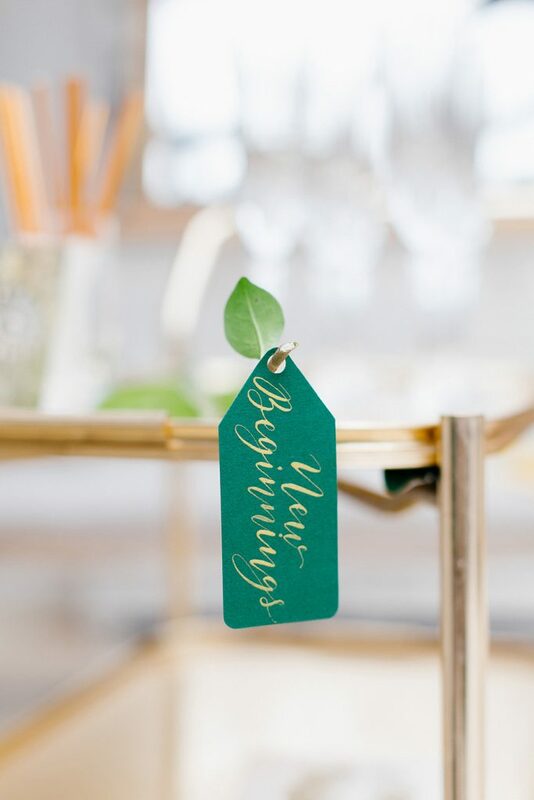 I believe in telling a story through design so the first step was to come up with a name for the event and ‘New Beginnings’ seemed fitting. This then led to the decision to base the design elements around the colour green, which symbolises new life, growth, freshness and harmony. 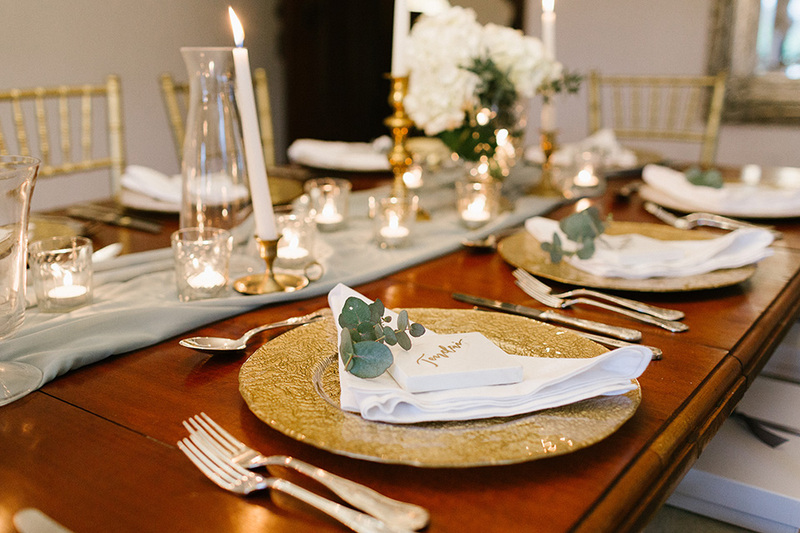 I also decided to incorporate gold elements to inject some glamour and illumination to the event – in any event I think gold and green are a match made in styling heaven! All the elements of the day were curated with the brief in mind. 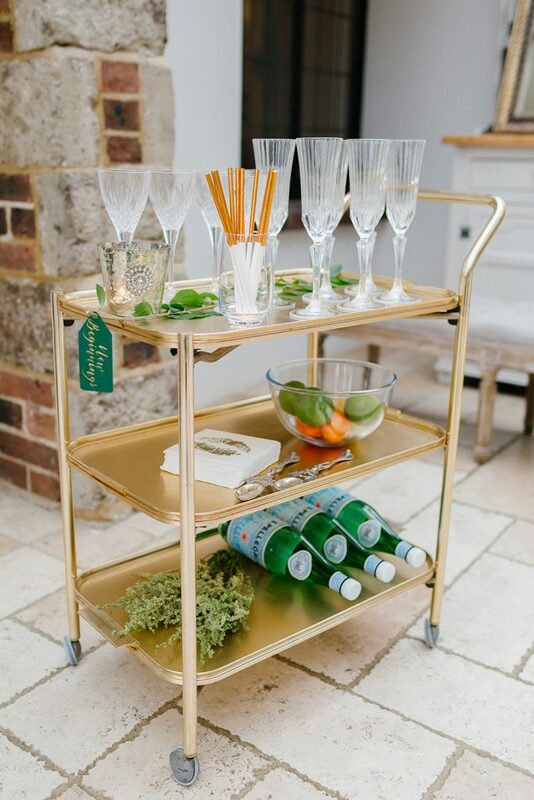 The event was held at a private residence in the English countryside, which has a light and airy conservatory where the canapé reception was held, complete with a vintage gold drinks trolley which had a choice of sparkling water, Prosecco or a kiwi, pear and elderflower cocktail. 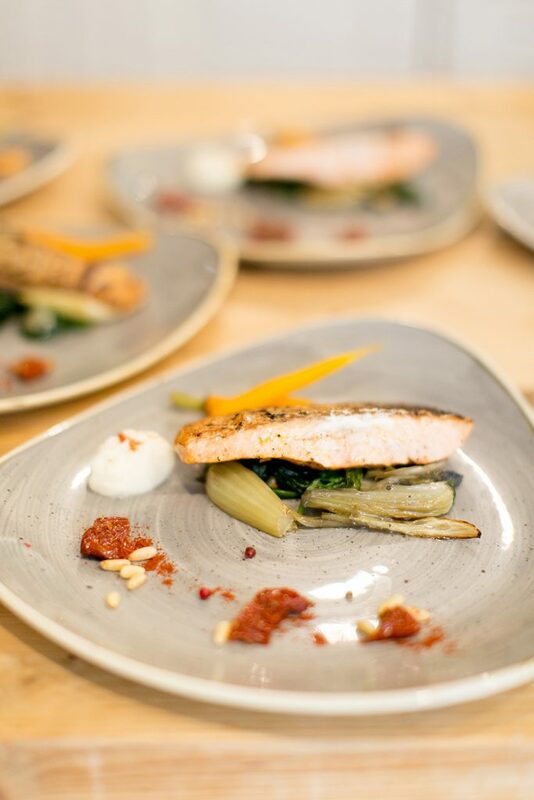 As the event was held at a time when most guests were still on their New Year detox diets, I worked with a chef to create a menu that was light and tasty. 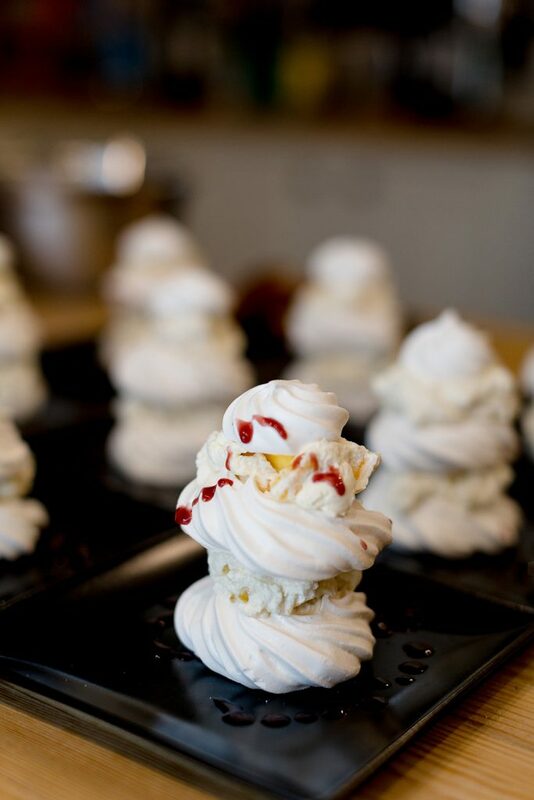 The wonderful food was prepared onsite by private French chef, Chef Loic Le Pape and consisted of a variety of canapes, scallop starter, salmon for the main and mango pavlova (not so light but oh so yum!) with a selection of vegan choices . 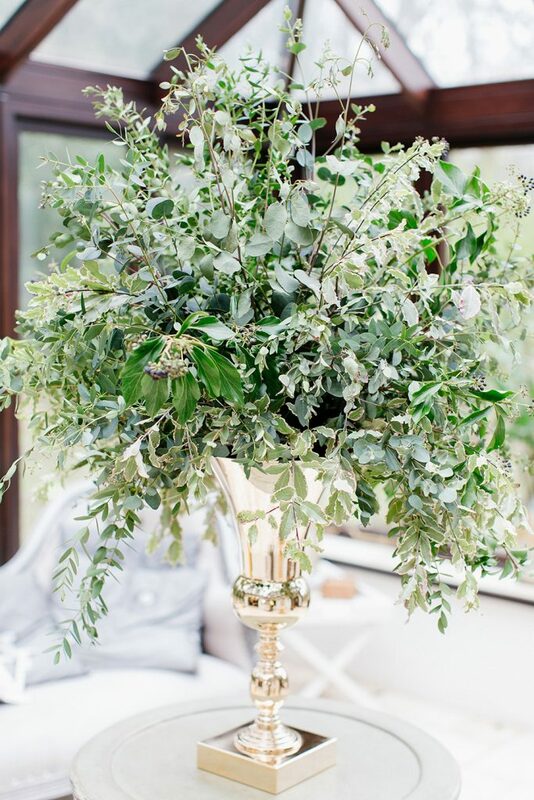 The florals were mostly greenery and foliage, with a touch of elegant white from one of my favourite varieties, the hydrangea. 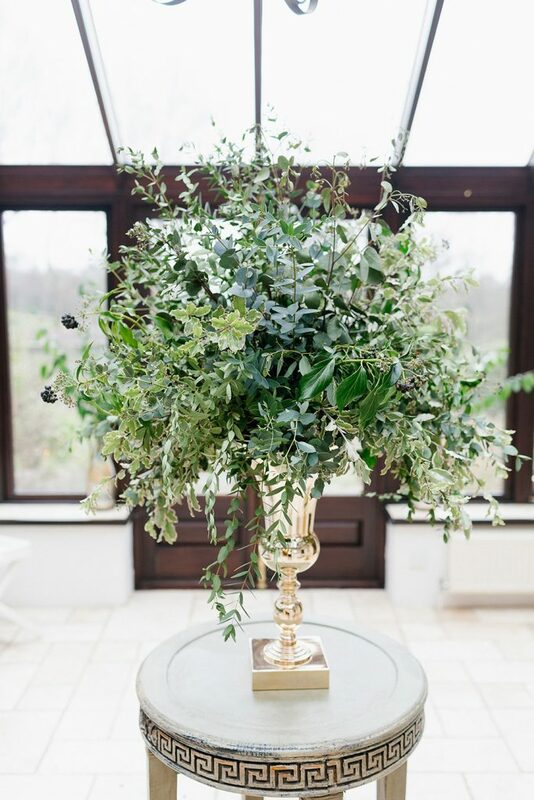 I had the very talented Zelie from the Home Grown Flower Company create a large arrangement which was all foliage based and displayed in a gold urn, what she created was amazing and greeted the guests as they entered, setting the scene for what was to come. 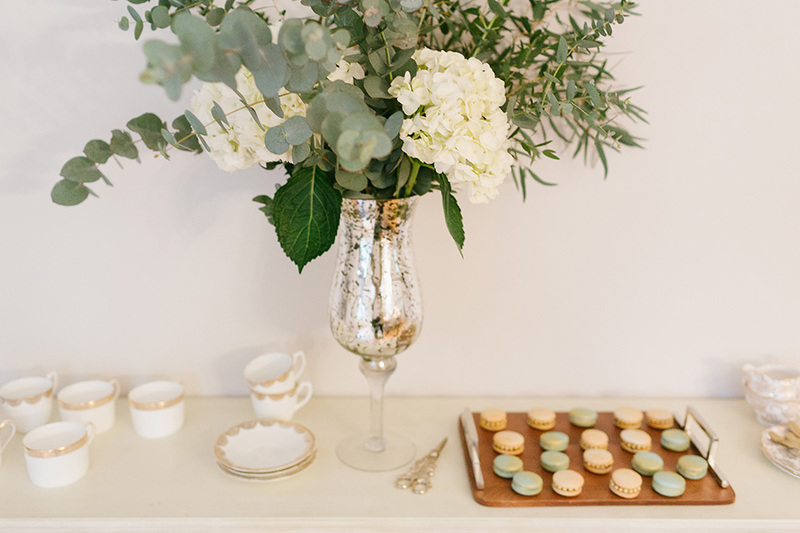 And of course I mustn’t forget the decadent macarons provided by French-Moroccan patissiere, Kenza of Kenza’s Macaron, in gold and mint green (topped with edible gold leaf, of course). A great addition served after the meal to accompany teas and coffees. 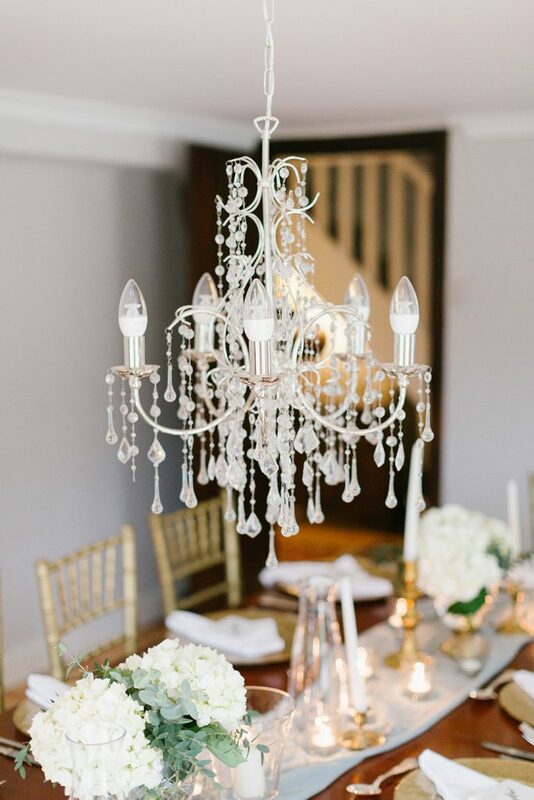 At the table, it was important to create a calm, intimate and elegant atmosphere. 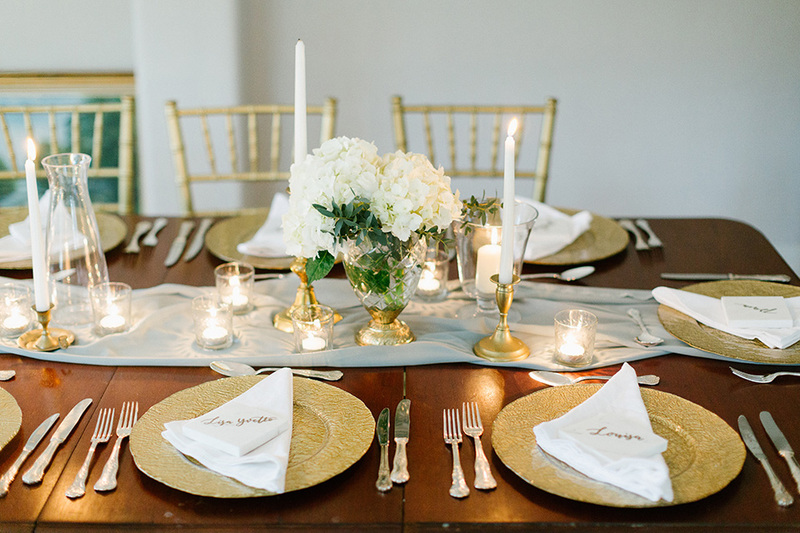 This was achieved this by using a blue-grey silk chiffon runner, to give the tablescape movement, etched gold glass charger plates (for texture), gold and brass candle sticks, candles clear tealight holders, and marble place cards with gold hand lettering done by the talented Ofe from Ollie’s Studio, finished off by a sprig of eucalyptus. 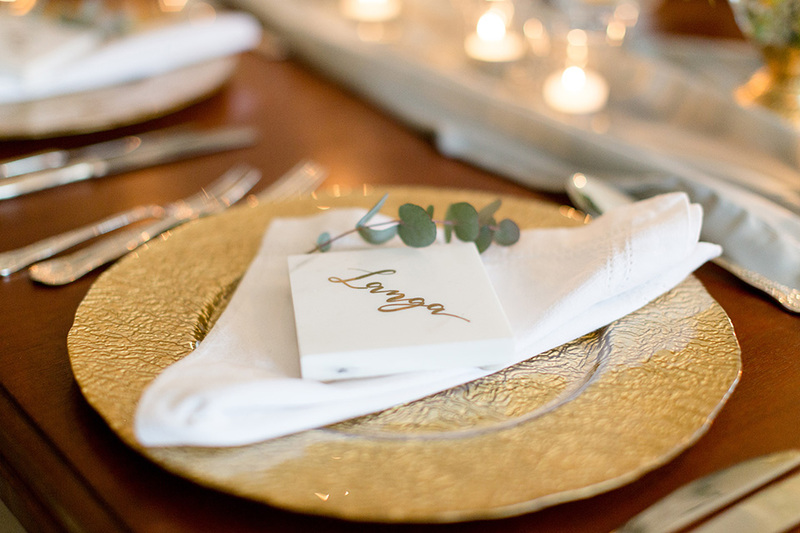 The place cards made for perfect gifts for guests to take away with them to commemorate the day – they will last forever! One thing I love about conceptualising such intimate events is that the take home gifts can be so much more thoughtful and personalised. 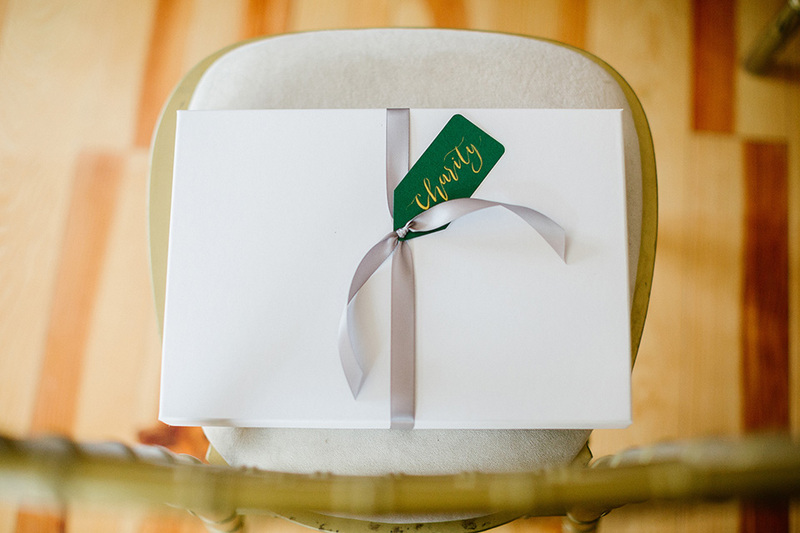 We asked each lovely lady for their word for the year which I arranged to have hand written in gold lettering and framed – this was presented to them in a luxury white box tied with grey satin ribbon and topped with a hunter green name tag in gold hand lettering. That’s Carol in the middle wearing white! I am privileged to work with and be a part of the A Woman With No Country community group. 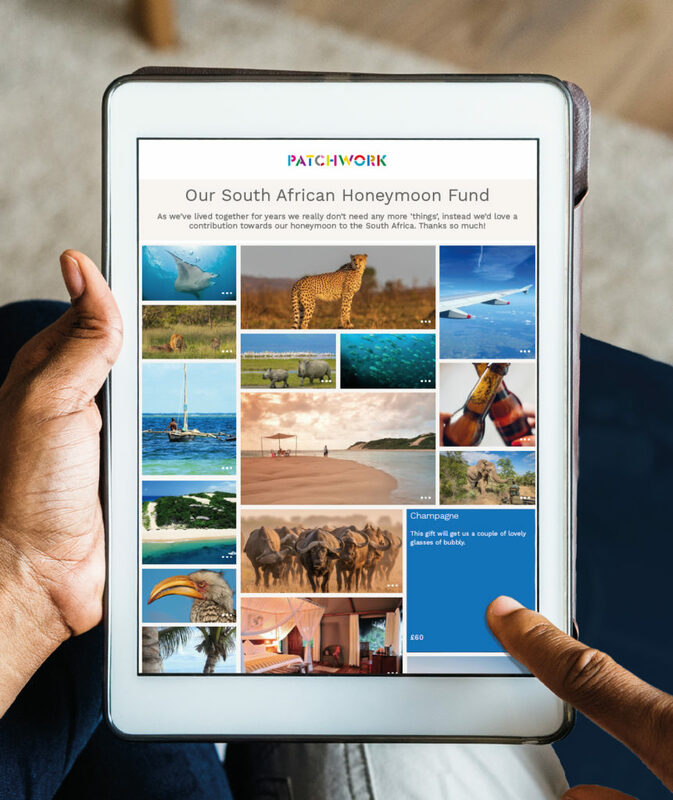 It is a movement of women inspiring change through sisterhood, entrepreneurial collaborations and community developments. which first and foremost is about women supporting women and also taking control of our collective narrative. 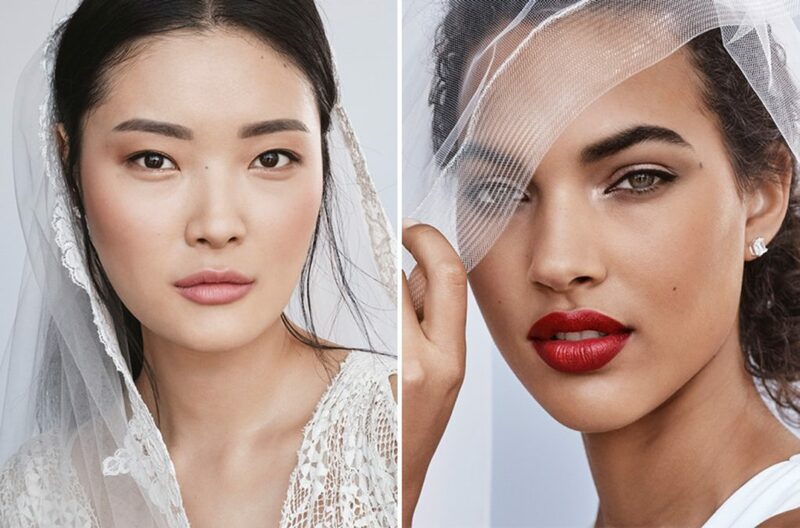 It’s such an honour to have this event featured on Nu Bride. Thank you! Well you’re most welcome Carol. Thank you for inspiring readers with your creative flair. Gold and green who would have thought they would be such a delightful pairing! This is so beautiful and very inspiring. Well done!